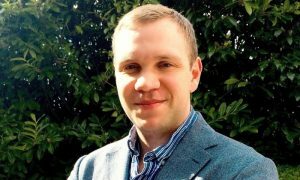 During the media’s reporting of the story of Briton Matthew Hedges, who was sentenced to life imprisonment for alleged spying in the United Arab Emirates (UAE), it was casually mentioned that we could pressure them for his release. The reason? We have a defence arrangement where we guarantee the UAEs existence and if anyone, like Iran or Russia attack them, we will DEFEND THEM. The UAE pardoned and released Matthew Hedges, on Monday after showing a video of him purportedly confessing to being a member of Britain’s MI6 intelligence agency. Britain has denied he was a spy and welcomed his pardon. It is the aspect of our defence arrangement with the UAE that should concern us thinking British Democrats and should concern people who unthinkingly vote for the LibLabCon Parties. Whilst continually reducing our armed services our political class are casually ‘GUARANTEEING‘ to defend other countries around the world. We did this for Poland once and before that for other countries, with the result that many of our British Ancestors are all dead, in Belgium and France, twice! We Nationalists would like to know what other ‘Defence Guarantees‘ we have promised around the world and why are our ‘Political Establishment‘ trying to destroy us as a people, one way or another. Tagged British Defence Guarantees, British Defence Policy, British Democrats, britishdemocrats.uk. It is always about the money. World War One took place because of pacts between nations. And look at the horrendous death toll that resulted from that.